Confronted with a haunting “disaster of biblical proportions,” Mayor Kevin Faulconer falters at first. He’s asked: Who are you going to call? “Shelley Zimmerman,” he says — San Diego’s police chief. 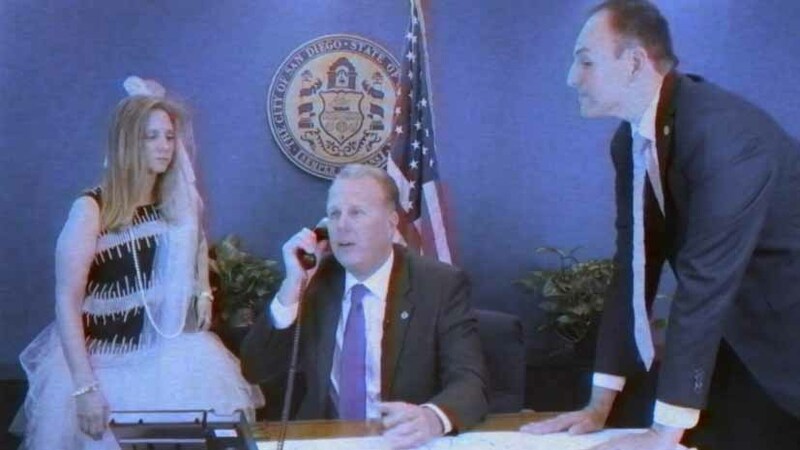 But later in the annual promotional video for the San Diego County Taxpayers Association Golden Watchdog and Fleece Awards dinner, Faulconer is shown making the right call after prompting from Deputy Chief of Staff Matt Awbrey. Intercut with clips from the original film, the scratchy 2-minute video posted Tuesday features five City Council members and county Supervisor Dianne Jacob. But her gun doesn’t work. The video was shot mostly around Civic Center Plaza on April 23, said a spokesman for the taxpayers association. 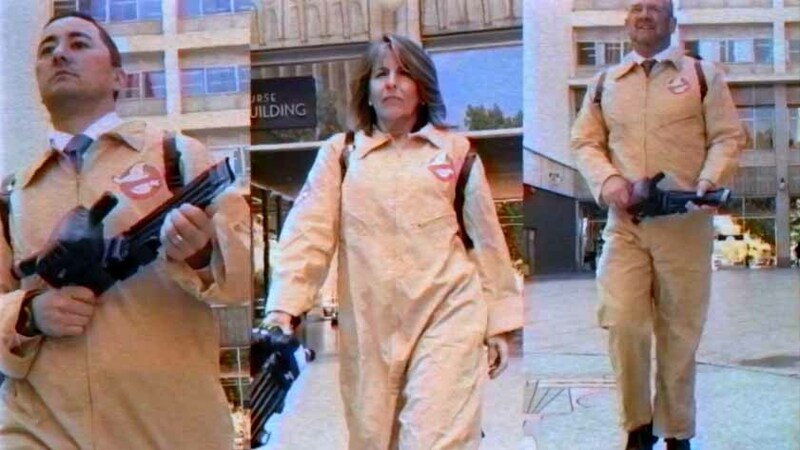 The Ghostbusters theme was chosen by the SDCTA Dinner Committee, which helped pick the “ghosts” being busted (including labor leader Mickey Kasparian, featured in the Alvarez segment). 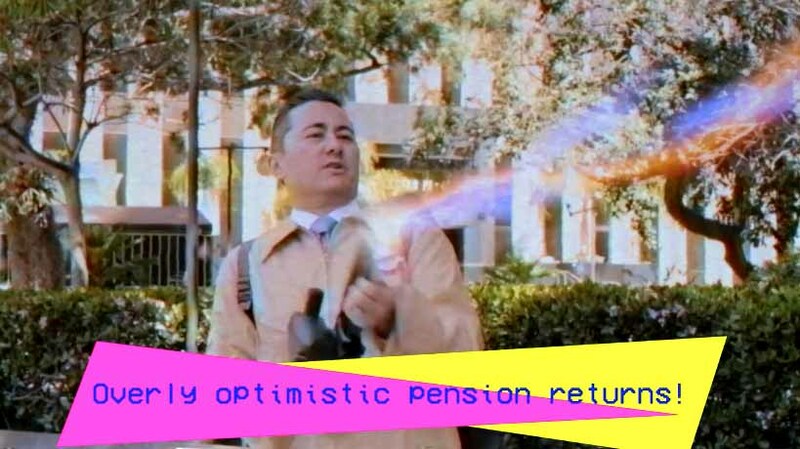 “The SDCTA Dinner Committee collaborated on the script and concept,” said Tony Manalatos, the spokesman, who said no taxpayer money was involved in the video’s production. “The [SDCTA] dinner is always one of the best events of the year, and the videos certainly have a lot to do with that,” said Kimberly Miller, a board member of the group and event co-chair. The 22nd Annual Goldens, as they’re called, is set for Thursday, May 25, at the San Diego Hard Rock Hotel. “Our awards give the public the opportunity to voice both admiration and criticism of government,” Manolatos said.